Along with reliable service, our freight carriers are required to carry cargo insurance certificates for the full value of the freight being moved. 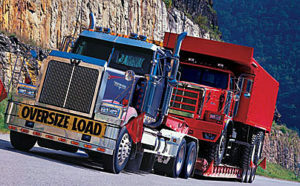 Loads are required to be secure and safe throughout transit. Get a Free Freight Quote Today! Here at Heavy Hauling Quote, we strive to provide you with your Freight Quote as soon as possible. With over 12 years experience in the freight transportation business, our freight specialists have the knowledge needed to give you a fast and accurate freight rate quote right now. Need to move a Crane, Excavator, Loader, or any other type of Heavy Equipment? Call and speak with our Equipment Specialists. We have employees who specialize in escorting and permitting heavy haul loads.Heavy Hauling Quote was established to provide logistical services for anyone, from large companies to small businesses; even, for the average individual. We tailor our services to your needs! To process transactions: We may share or sell information with third parties for marketing or other purposes without your consent.